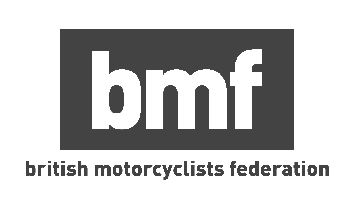 If you’re looking to take your CBT training in Chelsea then we have all the information you need to book your CBT training, get you on the way to getting you your bike licence and to getting out on the road. We currently have a couple of motorcycle training centres available and close to the Chelsea area, with several more in and around the Kensington area. If you’re looking to take your CBT test in Chelsea or the surrounding area of Kensington or Brompton then there are several motorcycle training schools all within a fairly close distance that will be fantastically suited to your needs. Don’t stress too much about the difficulty of the CBT course. CBT actually stands for Compulsory Basic Training, and there isn’t a test involved at all. The CBT exists just to make sure you can handle your motorbike or scooter to a safe standard, and ride safely on public roads. The course itself only lasts a day and is broken down into three simple parts. First, you’ll learn how to handle your machine, and learn basic highway code in the classroom. This will take just an hour or two at best and the best schools usually accompany this learning with a good cup of tea and perhaps even a biscuit or two! Once you’ve understood the theory, you’ll head outside onto the school’s purpose-built off-road training area, where you will perform basic manoeuvres on your motorbike or scooter. Then, assuming that your instructor is happy that you can handle the bike safely, it will be time to head out onto the open road for a short assessment ride. During this portion of the day your instructor is looking for you to be a safe and confident rider on the road. And that’s it… It really is that simple. And once this is all over, you’ll be able to head out on the open road on your own. Depending upon the time of year and the weather you may also need to consider purchasing a waterproof jacket or even a set of cheap waterproof - and windproof - overalls. It’s always a good idea to check the weather forecast during the week before your CBT training just to be sure. Still a little unsure about what to expect during your CBT test in Chelsea? Don’t worry, we’ve answered the most common questions about the CBT test here. So what are you waiting for?! Book your CBT training and get out there on the open road! There’s need to worry about not owning your own motorcycle or scooter for your CBT, the school in CHELSEA will provide you with one you can use. If you’re 16-years-old you’ll be limited to motorcycles or scooters with a capacity of no more than 50cc and a top speed of 31mph. If you’re 17-years-old and above you’ll be allowed to ride anything up to 125cc. If you choose to book your CBT training in Chelsea on an automatic machine, such as a scooter or a moped, then you won’t be limited to just automatic machines once you head out onto the road on your own - which means that you’ll be able to ride a geared motorcycle should you wish to change your style of bike later on. How much does a CBT cost? As for the cost of a CBT, this does vary dependent upon the time of year, the time of day and the location in which you choose to take your CBT training course. For a successful CBT training session in Chelsea, you can expect your CBT cost to be around the £100 - £140 mark. But once the day-long session is over you will be able to hit the local Chelsea roads with a fresh set of L-Plates and the confidence and ability needed for safe, road riding.